Rucci Law Group is pleased to announce that Kate Diehm was selected as a Rising Star by Super Lawyers in November 2016. Super Lawyers selects attorneys from more than 70 practice areas throughout the US in a peer-nominated process that involves independent research and peer evaluations. Each candidate is evaluated on 12 indicators of peer recognition and professional achievement. Selection factors are as diverse as verdicts and settlements, breadth of transactions, experience, honors and awards, and pro bono and community service. Candidates are evaluated by their peers and those with the highest cumulative scores are awarded the coveted designation of either Rising Star, only available to those under age 40 or with less than 10 years of practice, or Super Lawyer. With only a small fraction (2.5%) of lawyers nominated finally selected as Rising Stars, RLG is pleased to salute Kate for this honor. 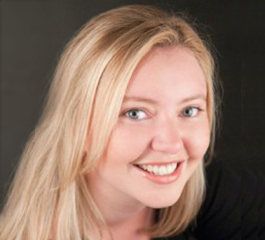 While Kate’s practice focuses on all aspects of business law, she also assists Internet entrepreneurs with the unique legal challenges that technology presents. Of particular note are potential changes to the Digital Millennium Copyright Act (DMCA) that are being discussed for 2017. This legislation was enacted in 1998 and has not evolved with technology advances, allowing for loopholes that permit piracy to the point that many creative artists and content providers no longer feel they can survive much less profit from their creative work. While it is not certain that legislative changes will occur, Kate monitors these and similar issues and interprets potentials developments to help clients protect and grow their businesses. It is this forward thinking approach that led Kate Diehm’s peers to vote her a Rising Star Attorney.